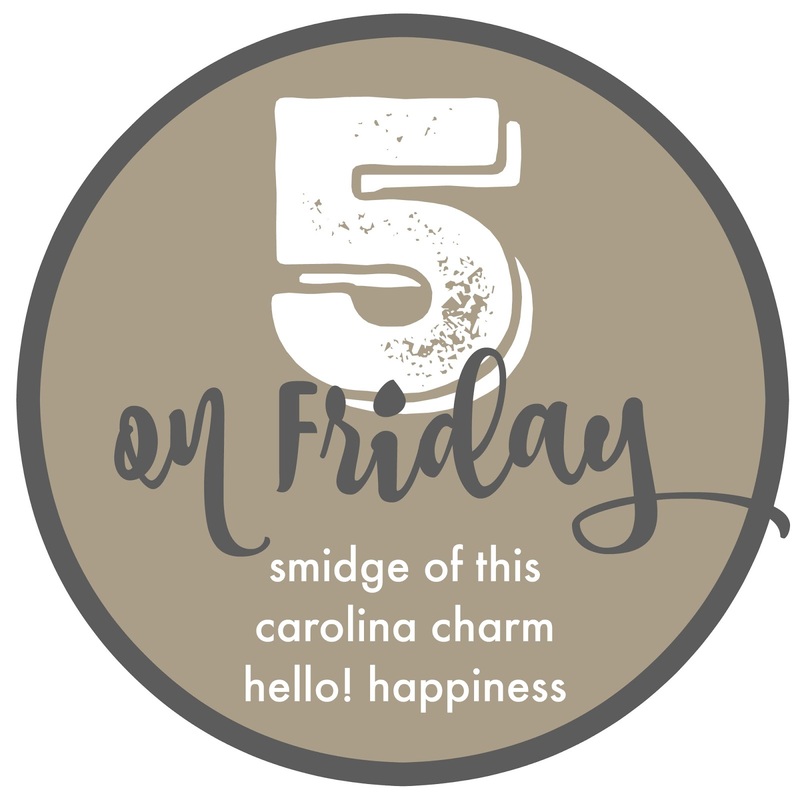 Coming back to the blog today with FIVE ON FRIDAY! I posted this photo here and got questions about this pullover. I'm in loooove with it. It's from A+F (yep, haven't purchased anything from there maybe in like two decades and that's no exaggeration). You can find it here and I would say it fits totally true to size, maybe even a little large. So you don't need to size up if you want it to be a looser, comfy fit. Last night we had Supper Club at my friend Lori's house and she made the best supper for us. Homemade split pea soup with the most delicious cheesy croutons, a panini, and arugula salad with parmesan. Why can't I cook like this every night?! Shout-out to my best boy who brings me a smile every.single.day! He's just so sweet and easy-going, literally just a heaven-sent baby. Seven and a half months old now, and if I can get my act together on the 6th, I'll post an eight month update! I'm podcast-obsessed like many of us these days. On Monday I was thrilled to be a guest on one of my favorite shows, It Sounded Like A Good Idea At The Time. Have you listed to this podcast yet? I'd love it if you will tune in and download! Start by listening to some of their past episodes to get a good gauge on what Caroline and Hannah are like. Spoiler alert: you'll love 'em. Last weekend was my beautiful cousin's wedding in Cleveland, NC! I always envisioned our entire family going, but ... things looked a little different and that was okay. I took Camille only, and she had her first flowergirl experience. She was beautiful and did a terrific job. It was a little more than an hour away, but after having some fun at the reception we made the trek home. Tonight we don't have any major plans ... Ian has an old-school Nintendo and I told him I might like to break it out together over some pizza and vino. How about you? What a beautiful flower girl! Camille looks gorgeous and I'm sure she was so proud to have such a big job. Can't believe Lachlan is almost eight months old - he is precious. Um, that pullover is precious! How on earth is Lochlan almost eight months old?! That went quickly. And yes: pizza and vino is on tap for us tonight, too! Catie got that same pullover for Christmas! She loves it too!! 8 months — crazy hoe time flies! You both look beautiful at the wedding and the brides gown is gorgeous! Lochlan is precious and perfect and Camille looks like a snow princess!! Absolutely cannot wait to hear your podcast!! Ahhh!!! I love seeing this back again! You are an inspiration, and I hope reviving this post offers a respite and rejuvenates you (as much as it inspires me!). Oh I can’t wait to hear the podcast! Your babies are just beautiful! How precious is camille in her flower girl dress?! So cute! I can't wait to listen to the podcast! The wedding looks like it was so much fun, and Camille was the perfect flower girl! You all are some beautiful people! Love these pictures! Amazon has a knock off jacket for $27! My friend owns several colors and swears they're the best! !